One of the most difficult tasks for a plaintiff in non-compete litigation is the need to focus on a remedy. I was reading an interview Judge Richard Posner gave to Stout Risius Ross recently concerning patent litigation, and some of his comments and criticisms about that type of suit ring true with respect to non-compete and trade secrets claims. Judge Posner was highly critical of the plaintiff's bar for its laser-like focus on establishing liability. He said - and I agree wholeheartedly - that when it comes time to assessing the viability of a remedy, the plaintiff tends to lose steam. Normally, this isn't much of a problem at the injunction phase. My experience is that plaintiff's counsel generally has a decent handle on what it wants for interim, injunctive relief. The problem is the next step. Several years ago, I wrote a law journal article emphasizing the need for businesses to consider using liquidated damages clauses in non-compete agreements for this very reason. I tend to think most lawyers do a really bad job at figuring out damages issues. There are two main factors at force here. For starters, an increasing number of lawyers have very little business or economics background. They're more comfortable proving historical facts - did X solicit the business from Y? - than they are modeling an economic picture of lost profits that has even a basic degree of smarts behind it. And just as important, lost profits require effort - real effort, not just poring over documents. Just deriving a theory can be a tough task to undertake. There are a number of different methodologies for proving lost profits. Say a non-compete defendant has undoubtedly competed and taken business away. Even if a plaintiff sustains a claim for injunctive relief, that may not be enough to mollify his or her client. There's real economic loss. But how to prove it, that's the challenge. antitrust cases (overall a good analogy for non-compete claims), measures the plaintiff's financial performance against a substantially similar business (this comparator being the "yardstick"). Based on that comparison, the plaintiff should be able to draw inferences about how its business would have performed but for the contract breach (the use of a customer list, diversion of clients, and the like). But gauging the appropriate yardstick - in essence, data sampling - is the trick. Suppose the defendant raids a branch office of the plaintiff. It takes its top three sales employees, steals the customer list associated with that branch office, and causes widespread disruption in the branch's ability to operate day-to-day. The yardstick approach may be a viable candidate to model damages as long as the plaintiff can find a comparison point. But the plaintiff has a lot of work to do to select the right yardstick. What can go wrong? Several factors. Assume the plaintiff chooses to pick the financial performance of one of its other branch offices that wasn't raided. Presumably it will pick one that is doing very well. 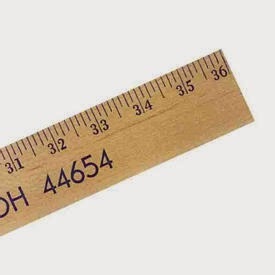 The selected yardstick may not be comparable or provide a reliable indicator of damages. The experience of its employees may be different. The yardstick location may have a super-competent branch manager. It may operate in a geographic location with different organic growth levels. The yardstick location may face a lower level of competition. The plaintiff would have to run a very intense analysis to show how the comparable location is truly similar in most material respects to the one impacted by the unfair competition. This is no easy task and requires the plaintiff to tease out a lot of factors that may cause it to present an inaccurate, unreliable financial picture during a damages presentation. My personal preference is to avoid the yardstick method in most non-compete cases. I think that it has some applicability as long as you can draw a reliable comparison, but it is very easy for a defendant to question the data assumptions and point to other yardsticks that may be more appropriate. On that score, it tends to make discovery very expensive. When Do I Have to Turn Over My Devices?